VirtuQ™ was started in the beginning of 2011. It provides online lab infrastructure and courses in the broad area of Computer Engineering. Anup Gangwar obtained his Ph.D. from Department of Computer Science and Engineering, IIT Delhi in the year 2005; M.Tech in VLSI Design Tools and Technology (VDTT) from IIT Delhi in the year 2000; and B.E. in Electrical Communication Engineering from BIT in 1998. He has worked at several organizations since 2004 including Calypto Design Systems (an EDA startup), Freescale Semiconductor, Montalvo Design Systems (a x86 processor startup), AMD and nVIDIA. In Calypto he was working on the front-end and compiler centric transformations for their tool. In Freescale he was leading the team responsible for porting and optimizing the Linux Kernel for their next generation SoC's. In Montalvo he was part of the performance analysis team responsible for providing performance bottleneck information to the architecture team. In AMD he was leading the processor verification effort as part of the core verification team. In nVIDIA he was leading the verification tools team working on an automatic test generator. Anup has published 12 papers in highly cited and reputed conferences and journals including IJPP, ACM TODAES, MICRO, VLSI Design, DAC and DATE. He is the recipient of the VP Spotlight Award, AMD (2009); Best paper award, ACM TODAES (2007); Best presentation of a session award at IRISS (2004); and Philips Semiconductors scholarship during M.Tech (1999). He obtained 99.28 percentile, All India Rank 38 in GATE (1998). Anup has been tinkering with the Linux kernel and GNU/Linux system in general for the last 15 years. His other technical interests are in computer architecture, operating systems, compilers, CAD for VLSI and embedded systems. He has reviewed papers for several conferences and journals including DAC, DATE, TODAES, IJPP, VLSI etc. He has also served on the program committee of VLSI Design (a premier conference on VLSI) for several years since 2008. 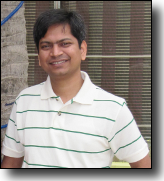 Basant Dwivedi obtained his Ph.D. from Department of Computer Science and Engineering, IIT Delhi in the year 2005; M.Tech in VLSI Design Tools and Technology (VDTT) from IIT Delhi in the year 2000; and B.E. in Electronics Engineering from MNNIT in 1999. Since 2004, he has worked at Calypto Design Systems (an EDA startup), CoWare and Synopsys (after acquisition of CoWare by Synopsys). At Calypto, Basant worked on several components of SLEC and PowerPro products including RTL and SystemC synthesis, netlist database optimizations, sequential analysis and SLEC-PowerPro integration. At CoWare (and later at Synopsys), Basant led Compiler and Platform Integration team of Processor Designer product which is extensively used for designing and verifying embedded processors. Basant has published several papers in leading conferences including DAC, CODES, EMSOFT, RSP and VLSI. He is the recipient of Philips Semiconductors scholarship during M.Tech (1999), MNNIT merit scholarship holder during his B.E. and government merit scholarship holder throughout his schooling. He obtained 99.04 percentile, All India Rank 64 in GATE (1999) and All India Rank 10 during high school board examinations undertaken by more than 10 lakh students. Basant's technical interests are in computer architecture, compilers, CAD for VLSI and embedded systems. He has reviewed papers for several conferences and journals including DAC, DATE, TODAES, VLSI design etc. He has served on the program committee of VLSI Design (a premier conference on VLSI) for several years since 2008. Sanjiv is currently Vice President and Managing Director at Calypto Design Systems, an EDA startup. Prior to Calypto, Sanjiv was a senior architect at Cadence Design Systems, where he was responsible for managing the technology direction, customer interaction, as well as managing the product development and the validation teams for the BuildGates synthesis product. Sanjiv has previously worked in Ambit Design Systems and Viewlogic Systems where he architected system design and synthesis related products. Sanjiv received a Bachelor of Technology in Computer Science and Engineering from the Indian Institute of Technology, India. As a Chancellor's Fellow, he received M.S. and Ph.D. degrees in Computer Science at the University of California, Irvine. He is the co-author of the book "Specification & Design of Embedded Systems". He has served as a Guest Editor for IEEE Transactions on VLSI Systems and the ACM Transactions on Design Automation of Electronic Systems. Dr. M. Balakrishnan is a Professor in the Department of Computer Science & Engineering at IIT Delhi. He obtained his B.E.(Hons.) in Electronics and Electrical Engineering from BITS Pilani with 1st rank in 1977 and Ph.D. from EE Department IIT Delhi in 1985. He worked as a Scientist in CARE, IIT Delhi from 1977 to 1985 where he was involved in designing and implementing real-time DSP systems. For the last three decades, he is involved in teaching and research in the areas of digital systems design, electronic design automation and embedded systems. He has supervised 8 Ph.D. students, nearly a hundred B.Tech. and M.Tech students and published nearly 75 conference and journal papers. Further, he has held visiting positions in University of Guelph (Canada), University of Syracuse (USA), University of Kiel (Germany) and University of Dortmund (Germany). 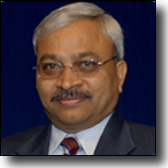 Dr. Balakrishnan has held several senior administrative positions within IIT Delhi. He was the Head of the Department of Computer Science and Engineering during 2001-2004. He was the Dean of Postgraduate Studies and Research from 2006-2009 and Deputy Director during 2009-2012. He has also served as the Coordinator of the inter-disciplinary program, VLSI Design Tools and Technology (VDTT). In 2002, along with some colleagues and graduating students of his department, he founded a start-up company called Kritikal Solutions under the Technology Business Incubation Program of IIT Delhi. He has served it in various capacities and helped it grow many fold. He is the winner of several awards and fellowship, IIT Delhi Golden Jubilee Mentor Award (2010), Vasvik Award (2008), the ACM Transactions on Design Automation of Electronic Systems (TODAES) Best Paper Award (2007), Konrad Zuse Fellowship (1994), NRDC Invention Award (1982) and BITS Pilani Silver Medal for Ist rank in engineering (1977). Recently a project on smart-cane which he started has received a grant worth £450,000/- from Wellcome Trust UK. Dr. Anshul Kumar is currently a Professor in the Computer Science and Engineering at IIT Delhi. He has been associated with IIT Delhi since 1969 when he joined the Institute as an undergraduate student. He graduated in 1974 with a B.Tech. degree in Electrical Engineering and was awarded the President's Gold Medal for obtaining the first rank in all disciplines. Subsequently, he obtained his Ph.D. degree from IIT Delhi in 1980 in the area of Computer Aided Design of Digital Systems. Since 1984 he has been with the faculty of the Department of Computer Science and Engineering at IIT Delhi, where he became a Professor in 1990 and Head of the Department during 1998-2001. He has been the Dean of Undergraduate Studies during 2003-06 and has served in other key positions like Head of the Mathematics Department, Coordinator of the School of Information Technology, Coordinator of the VLSI Design, Tools and Technology Program and Coordinator of Computer Applications Program. Prof. Anshul Kumar has held visiting appointments at Univ of Southern California Los Angeles (1981-82), University of Edinburgh (1987), KTH (Royal Institute of Technology) Stockholm (1995-96, 1997) and EPFL (Federal Institute of Technology Laussane) (2001). 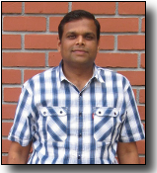 Prof. Kumar's main areas of research interest are VLSI synthesis, embedded systems design methodology and high performance computer architectures and he has published more than 100 research papers in reputed journals and proceedings of refereed international conferences. He has guided 10 Ph.D.'s and more than 80 M.Tech./B.Tech. projects. His research has been supported by the Department of Electronics/ Ministry of Communication and Information Technology, Naval Research Board, ANURAG (Defence Lab) and NXP Semiconductors. He has also been a consultant to Gateway Design Automation (now Cadence Design Systems), Technology Parks Ltd, ST Microelectronics and Poseidon Design Systems. Prof. Kumar has been associated with the annual International Conference on VLSI Design since its inception in 1985 and contributed to its growth in various capacities. He has been a General Co-Chair for the conference in 2009. He has also contributed professionally through various national level committees including, Working Group on Microelectronics and Advisory Committee for CDAC. In 2002, along with some colleagues and graduating students of his department, he founded a start-up company called Kritikal Solutions under the Technology Business Incubation Program of IIT Delhi. He has served it in various capacities including Hon. Chairman, Hon. Director and Mentor and helped it grow nearly tenfold. Recently he received the ACM Transaction on Design Automation of Electronic Systems (TODAES) 2007 Best Paper Award for a paper coauthored with a colleague and a student.